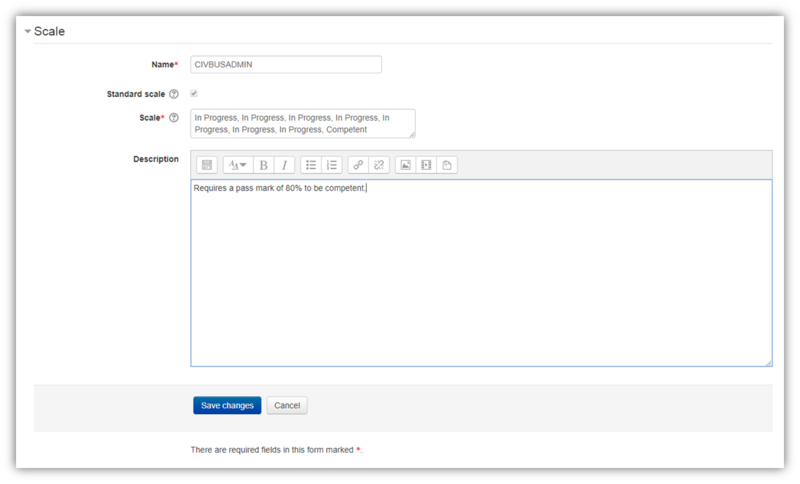 The Moodle Grade plugin allows grading in Moodle to update Wisenet Unit Enrolment Outcomes and End Dates. 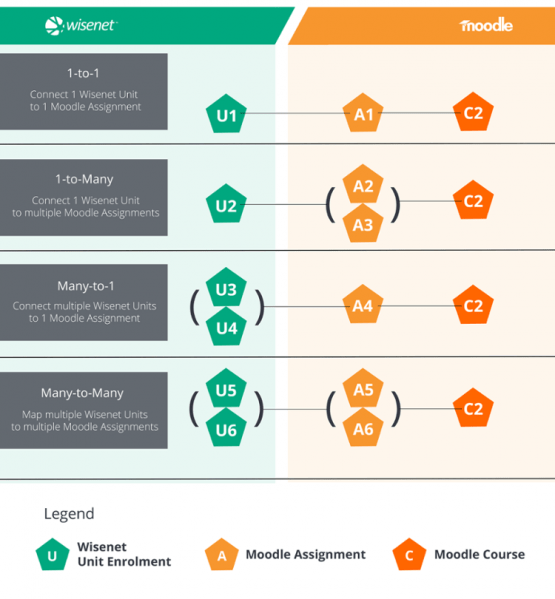 It works for both Australia and New Zealand and is designed for flexibility to update 1 or more Wisenet Unit Enrolments based on grading of 1 or more Moodle Assignments. 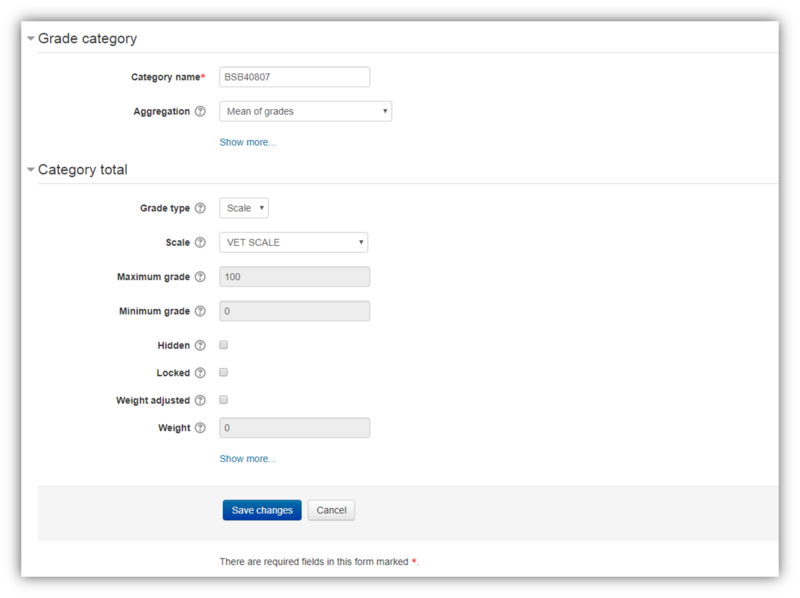 The diagram on your right gives you a snapshot around the flexibility to update 1 or more Unit Enrolments. 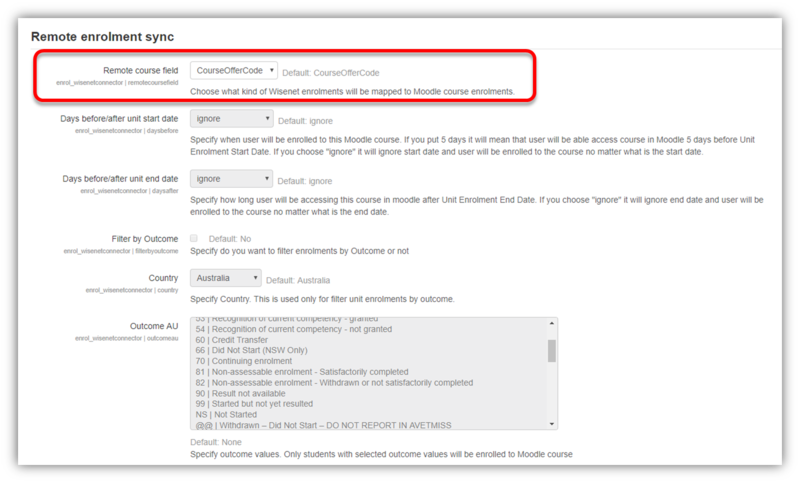 Automatic outcome updating only works if you link Unit Offer Codes or Course Offer Codes.